A Forever Hug! That is the Definition of a Bypass Ring Design! 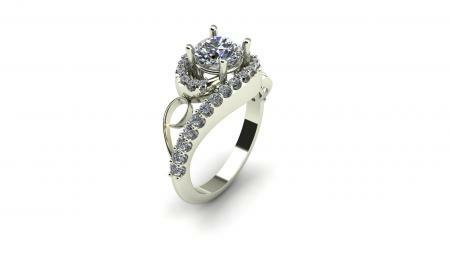 The Accent Diamonds Start up the Finger and Then Wrap Around the Center Gem Stone. Two Gold Curls Add More Visual Interest to this Composition. One of Our Favorite Designs Made to Fit Any Center Stone.